Meredith advises clients who are looking to leave NYC on how to choose a suburb. Meredith's "Buy in the Burbs" network refers clients to agents all over the tri-state area. Working in partnership with agents in Westchester, New Jersey and Long Island, Meredith leaves no stone unturned when trying to assist a client. Meredith graduated from Emory Universityand had a successful career on Wall Street as a financial consultant and equities trader. She left the financial services industry to raise her two children inWestport. For the last decade Meredith and her husband Scott have worked at their real estate business (which owns and manages multi family properties inBrooklyn). The experience she has from this business gives her unique perspective and capabilities as a residential realtor. In the past, Meredith has been on all sides of real estate transactions; as a buyer, seller, renter and even leasing her own property (here in town). Meredith understands that every transaction requires a customized approach, painstaking attention to detail, and someone with excellent negotiating skills and financial acumen. 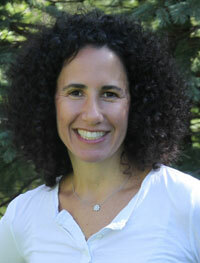 Meredith is aFairfield County Ct specialist, working with clients inWestport, New Canaan,Greenwich and beyond. Meredith brings a unique combination of finance expertise, enthusiasm and local market knowledge to exceed her clients expectations.